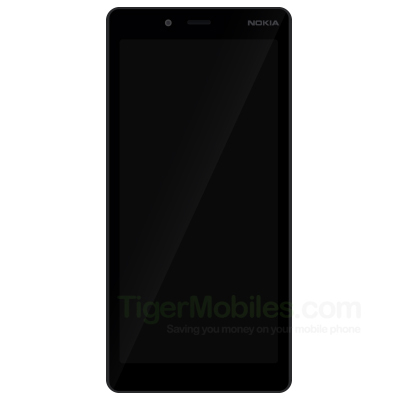 Tiger Mobiles pulished this morning some specifications of the upcoming Nokia 1 Plus. 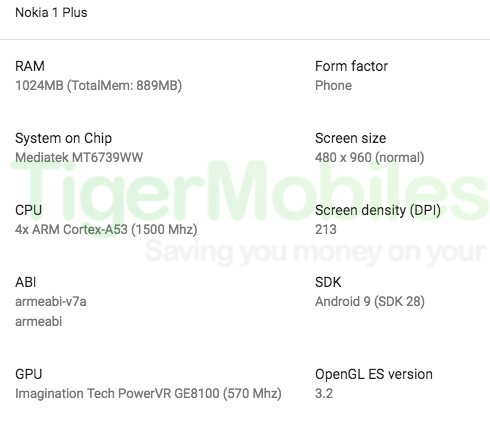 Nokia 1 Plus will probably be announced at MWC2019 and it will run Android 9 Pie, most likely GO Edition because of 1GB of RAM. Other specs include a MediaTek MT6739WW chipset and a screen resolution of 480×960 pixels. The specs Tiger Mobiles dig from somewhare up show Screen densitiy (DPI) as 213. If by DPI they mean PPI (because DPI and PPI are different things), than the screen size of Nokia 1 Plus can be calculated at 5-inches. The leaked render of the device shows the front size and we can see a noticeable larger footprint compared to the compact Nokia 1. That doesn’t seem like a big screen for a “Plus” model, but keep in mind that Nokia 1 screen was 4.5-inches in the diagonal, so half an inch could be interpreted as a “plus” to the original one. HMD’s Nokia event is scheduled for 24th February, and than we will know more.